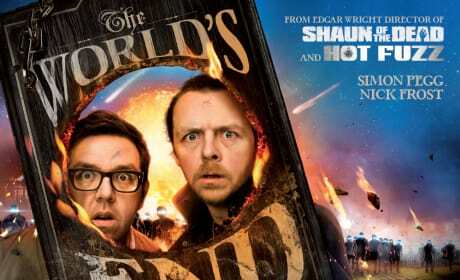 The UK quad poster for The World's End has dropped. The film marks the end of the Blood and Ice Cream comedy trilogy. Star Trek Into Darkness Character Posters: Scotty & Chekov! The Star Trek: Into Darkness character posters continue to roll out. The latest to debut are Simon Pegg's Scotty and Anton Yelchin's Chekov. 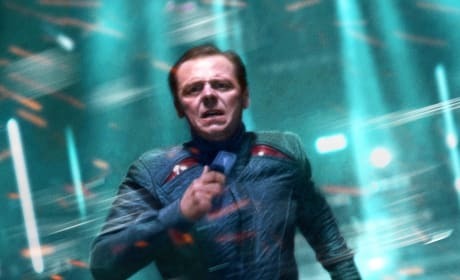 Simon Pegg is a British actor. He's appeared in Hot Fuzz, Run Fatboy Run and Grindhouse, among an array of other films. Pegg says he's a big fan of The X Files.